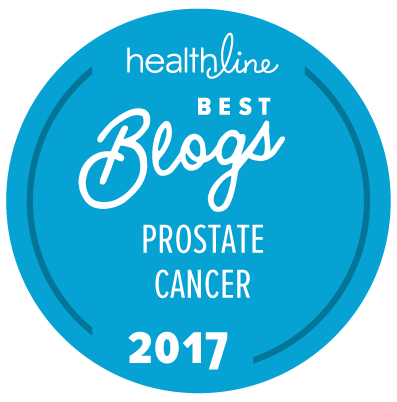 The following commentary addresses the article on risk for recurrent prostate cancer that we had mentioned briefly yesterday. If a treatment isn’t working, we want to know as quickly as possible so we can try a salvage therapy while it can still make a difference. We want a measure of effectiveness, called a surrogate endpoint, that will predict survival, and we usually turn to PSA as our best early indicator. But there are different ways of defining mortality, and different measurements utilizing PSA. In an analysis of a randomized clinical trial (available here), Royce et al. sought to answer these questions for unfavorable risk patients who were treated with external beam radiation (EBRT) + androgen deprivation (ADT). All patients were “unfavorable risk,” defined as having a PSA between 10 and 40 ng/ml or Gleason score ≥7 or extracapsular extension or seminal vesicle invasion. Men were screened for minimal or no comorbidities. Average (median) age was 72. They all received 70.2 Gy of 3D-CRT at 6 hospitals in the Boston area between 1995 and 2001. Half (78 men) got 6 months of ADT with the radiation; half (79 men) had radiation without ADT. PSA was evaluated every 3 months for 2 years, every 6 months for 3 years, and then annually. When PSA climbed above 10 ng/ml they received salvage ADT. It is often difficult to discern whether prostate cancer was the final cause of death. Men may die of kidney or liver failure or other final causes that are consequences of their prostate cancer. Prostate cancer has been found to be associated with other causes of death. The men in this study were only included if they had no or minimal comorbidities that might contribute to their death. Men were eventually diagnosed with metastatic castration-resistant prostate cancer, and most had received chemotherapy. The mortality was age-adjusted for actuarial death rates. Follow-up was long enough (16.5 years, median) so that even slow-killing prostate cancer would be a significant cause of mortality. They had several criteria for inclusion. Basically, they wanted to find metrics that predicted mortality, and that continued to make a difference in survival time after the effect of the adjuvant ADT no longer extended survival. All but “PSA failure” met their criteria. Of the remaining three metrics, PSA nadir > 0.5 ng/ml had the largest effect in explaining survival. The following table shows the 8-year all-cause mortality rate for each metric or surrogate endpoint, when it was met and when it wasn’t, and the percentage of the treatment effect (adjuvant ADT) explained by each metric. If the PSA nadir was over 0.5 ng/ml, it predicted the biggest difference in mortality. It also explained essentially all of the treatment effect of the added ADT. Now, before any reader gets worried that his PSA is over 0.5 ng/ml, we must remember what “nadir” means. Because this analysis was done in hindsight, nadir is the lowest PSA ever achieved after treatment. It was not, in this case, the lowest value achieved so far. It often takes 5 or more years to achieve the nadir after radiation. For those who received adjuvant ADT with their radiation, the nadir will be achieved while they are still on ADT, and the PSA may rise above the nadir as the effect of the ADT wears off. A nadir of only 0.5 ng/ml among those taking ADT in this clinical trial suggests that the ADT was not working completely. I assume that ADT was begun 2 months before the EBRT, continued during the 2 months of EBRT, and was continued for 2 months after that (6 months total). If the first PSA was taken 3 months after EBRT completion, the effect of the ADT had not worn off yet. Some of the cancer must already have been castration resistant. Patients received a bone scan, but some must have already had metastases that were too small to be detected by it. We see this reflected in how quickly the metric predicted mortality. In as quickly as 1 year from the start of treatment, mortality was 20% among those who had already reached a nadir, and it was > 0.5 ng/ml vs. 0% in those who hadn’t reached it. At year 1 of follow-up, the percentage who had met the endpoint was negligible for the other endpoints. Clearly, patients with a PSA that never goes down below 0.5 ng/ml after radiation +ADT are at greater risk. The authors recommend that patients whose PSA never achieves a nadir below 0.5 ng/ml after EBRT plus 6 months of ADT should be recommended for clinical trials of early use of second-line hormonal agents, chemotherapy, and other new therapies. This is a logical implication, but it is not likely to occur very often because standard of care has changed since this clinical trial began. The DART 01/05 GICOR randomized clinical trial proved that among high-risk patients, 28 months of adjuvant ADT was superior to the 6 months of adjuvant ADT that were used in the present study. It is less likely that the nadir will stay above 0.5 ng/ml with the longer course of ADT and with the escalated radiation dose (of about 80 Gy) that is now standard of care. So while a nadir > 0.5 ng/ml in this situation is still an endpoint indicating elevated risk, few patients will be observed to exhibit it. Editor’s note: This commentary was written by Allen Edel for The “New” Prostate Cancer InfoLink. I can vouch for the value of external radiation plus extended ADT. In 2004, at age 74, I was diagnosed with Gleason 9 prostate cancer, confined to the gland. Though my PSA at that time was 5.1, it had jumped from 4.0 in the prior several months. I received 80 Gy radiation (IMRT) plus 2 years of ADT. After that, my PSA came down to approximately 0.2 and has stayed there since. I am now approaching 13 years of survival and actually in good enough health to have overcome non-Hodgkin lymphoma in 2010, by chemotherapy. I only wish the same good fortune to all men! Does this trial/conclusion apply to guys like me who had RP, SRT to bed with 6 months of ADT and SRT to pelvic nodes with 13 months of ADT? My psa “nadir” after RP was 0.1. Nadir after SRT to the bed (while still on ADT) was < 0.1. Nadir after SRT to lymph nodes (while still on ADT) was 0.028. My last PSA on December 9 (4.5 months after my last 3-month Lupron shot) was 0.194. What's your take? Am I castrate resistant? Am I one of the favorable risk guys whose PSA nadir was < 0.5? From the perspective of those of us who have relied heavily on ADT, that failure to achieve a nadir below 0.5 with supportive ADT represents a critical and highly significant failure of ADT, at least the type being used for the patient who failed in this study; in other words, regardless of whether radiation is employed, for most of us, PSA should drop below 0.05 in 6 months if the ADT is well done (not me with a starting PSA that was remarkably high at 113.6 -– took longer to succeed). My record suggests rather strongly that I would have been in the failure group -– ADT greater than 0.5 — had I not been on ADT3 instead of ADT2, let alone single-agent ADT (lowest level of PSA after 10 months of Lupron plus Casodex was 0.6, with the rate of decline then virtually flat). As it turned out on ADT3, my nadir for my first cycle of ADT was < 0.01 (and for second cycle, 0.02 for third, and 0.02 for fourth for 18 months total before, during, and after radiation post “expiration of ADT” except continuing Avodart, with all subsequent readings to the present of < 0.05 based on a less sensitive PSA test). Allen expresses the study authors’ recommendation as follows: “The authors recommend that patients whose PSA never achieves a nadir below 0.5 ng/ml after EBRT plus 6 months of ADT should be recommended for clinical trials of early use of second-line hormonal agents, chemotherapy, and other new therapies. This is a logical implication, but it is not likely to occur very often because standard of care has changed since this clinical trial began [as amplified in the important last paragraph].” My personal viewpoint as a now savvy, eighteenth year veteran of fourteen years of ADT/IADT3 plus radiation in 2013 (but no enrolled medical education), is that all such patients should first make sure their ADT has been well done! To me, that includes: monitoring testosterone to make sure it is < 20 ng/dl (< 0.69 nmol/l) and monitoring dihydrotestosterone to make sure it is 5 ng/dl or lower, unless the PSA is < 0.05; use of agents additional to orchiectomy or LHRH agonists (or an LHRH antagonist) unless the PSA is < 0.05, with the added agents being an antiandrogen (most likely Casodex/bicalutamide, with more effective Xtandi/enzalutamide not approved for these patients, yet) and a 5-alpha-reductase inhibitor (most likely Avodart/dutasteride), though research support for the latter, while highly significant to me, is of “weak” quality per usual research standards as it is based mainly on at least one published clinical series as well as informal publications. Also, per research, for high-risk patients, the course of ADT should be at least 18 months to perhaps 2 years or more, rather than 6 months, a point addressed by Allen in the last paragraph. Therefore, as I see it, a move to “clinical trials of early use of second-line hormonal agents, chemotherapy, and other new therapies” for patients with an unchallenged PSA of 0.5 or higher would be premature. I suspect Dr. D’Amico and his colleagues would consider the form of treatment you advocate to be, at best, “investigational” (since, as you point out, the research support for it is weak). One could therefore justifiably argue that what you are recommending does actually meets the authors’ “clinical trials” criterion rather accurately (since you are recommending the addition of “second-line hormonal agents”). Of course at this time there is no clinical trial of the specific type of therapy you are advocating that might be able to prove (or fail to prove) your recommendation. No, it does not apply at all to salvage radiation. What about men who have a PSA of under 0.05 with radiographic disease progression? We are encountering problems with our insurance providers as the disease is active but has no PSA. Does anyone have any experience with this? No one in this study had detectable metastases, and it is not standard of care (yet) to radiate the prostate in such cases. I agree that those rarer cancers that put out little PSA, and often tend to be both hormone- and radio-resistant, aren’t studied enough. If he has metastases in a place that can be conveniently biopsied, and a rare type can be identified, his insurance providers may be convinced that alternative treatments are necessary. In 2013, I was diagnosed with early stage Gleason 7 (one core 4 + 3; 10%) and one Gleason 6 (< 1%). I had 3 months of Lupron before IMRT and 9 months after. PSA fell to 0.02 ng/ml 2months after IMRT, then < 0.015 for 6 mos. With Lupron slowly wearing off PSA was 0.085 and then quarterly tests at 0.2 where it stayed with increasing ultrasensitive H for 20 month. However, last my last four PSAs have been 0.29, 0.50, 0.40, and 0.60. So, based on this study, if I understand it correctly, I was okay immediately after IMRT and ADT1. However, I am confused about: "it can take 5 years or more to reach nadir after radiation." Does this mean that the PSA can continue to rise but should eventually fall back to a low point and stay there? Your nadir PSA level (after the ADT wore off) appears to have been about 0.2 ng/ml. The nadir is the lowest value you reached, whether it was due to ADT or not. So yours was undetectable. However, it was not at all surprising that your PSA rebounded after the Lupron wore off, but it was still low and stable for some time. The inconsistent creep up to 0.6 may be due to prostatitis or other benign causes. The official biochemical recurrence PSA would be 2.0 for you (nadir + 2); however, many doctors would begin investigation at a lower number (say, 1.0) if your PSA had previously been stable and you have no history of prostatitis. Unfortunately, none of the new PET scans, whether approved or in clinical trials, are approved until the recurrence is official, that is 2.0. So I think you would have a hard time getting insurance approval. But you can try. As an alternative, you should be able to get a mpMRI, and if indicated, a fusion biopsy. An alternative would be a template mapping biopsy. In either case, you would have to find a radiologist with experience at reading such results on irradiated tissues. But first, I think your doctor will want to eliminate the possibility of benign causes. Your PSA pattern is inconsistent, so it may be something benign. Now I’m really confused:). Nevertheless, I had already been in touch with Dr. Je Busch in Chattanooga and Dattoli before posting my question here. Dr. Busch does the 3T mpMRI and fusion biopsy, if needed, plus the Axumin scan. Dattoli does the Feraheme. I’m a patient of Dr Dattoli. He does CT, bone density, and ultrasound scans in Sarasota. He sends patients to Sand Lake Imaging in Orlando for MRI and PET/CT scans. They no longer use Feraheme and haven’t since 2015. They now use Axumin, which Medicare has approved for their use. I think Dr Lee is giving you good advice. At a PSA of 0.6 there is no need to overreact, and continued monitoring is prudent. I heard Dattoli/Sand Lake is no longer doing the Feraheme MRI, by the way. I should have reiterated … The Axumin scan is only FDA-approved for biochemically recurrent prostate cancer, so I doubt you could get your insurance to cover it at a PSA this low. This is a follow-up to my post on March 6 above. My PSA on March 20, dropped back to 0.46. Doubling time since 0.2 PSA in 12/14 is 18.2 months. PSA sure has been bumpy. Your PSAs have been too low for good results with some of the scans, such as the C11-choline PET/CT scan. I’m not sure any of the current excellent scans can reliably pick up cancer at such low PSA levels. Good luck for staying below those levels, and congratulations on that recent decline. Jim, thanks for that reply!! Actually, my wife and I are going to Chattanooga this coming week for me to have a 3T mpMRI of the prostate and local area by Dr. Joe Busch. If he sees anything suspicious he will biopsy it. This is maybe final comment re: my last post. I had a 3-T mpMRI by Dr. Joe Busch. The MRI was clear and Dr. Busch said the prostate looked pristine. He feels my bumpy PSA is due to benign tissue and that they got the prostate cancer. My three recent PSAs have been 0.46, 0.41, and 0.43.